 The Alan Surtees Trust is a grant giving organisation that supports performers whose work is rooted in, or influenced by, traditional music and arts. 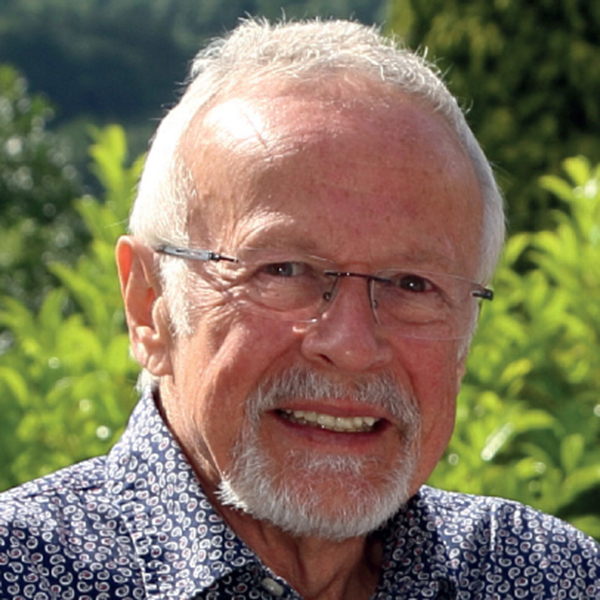 It was set up 2017 in memory of Alan Surtees, the co-founder and director of Shrewsbury Folk Festival. We will be making three grants of up to £1,000 in the 2019 funding round. Your application must be submitted before midnight on April 26. Making grants to young and emerging artists whose work is influenced by or rooted in folk and traditional music and art forms. Making grants to established musicians to create new work, which promotes the understanding and development of different musical cultures. Making grants to educational music and arts activities that promote the understanding and development of different musical cultures. 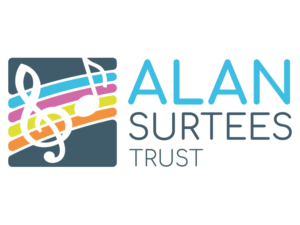 Applicants for a grant from the Alan Surtees Trust should be aged between 16 and 30 at the time of applying. They must live in the UK and not already have significant financial backing. Project research and development expenses such as artist fees, travel expenses. Expenses for activities which have already happened. We will be awarding three grants of up to £1,000 in the 2019 funding round. The application deadline is April 26. The folk scene is still relatively small and often feels like a big family. Alan was definitely seen as an important member of the family by many artists. He and Sandra have supported hundreds of musicians, right from the beginnings of their careers, and have always had an eye for spotting potential. Not only that, they have also given opportunities to more established artists to create new works for the festival, whether they be new collaborations between artists, new dance shows, or new repertoires of songs. Shrewsbury Folk Festival continues to support and contribute to the ongoing evolution of our music. If we want this music to thrive, this is exactly what organisers of festivals need to be doing and it’s what makes this festival particularly special. All profits from this album will raise funds for the trust to give out grants to young and emerging musicians and new projects. As someone who has benefitted from the generosity of Shrewsbury Folk Festival, I want to take the baton and keep some of this support and momentum going. It seems like a very fitting way to serve Alan’s memory. With huge love and respect for Sandra and the team. 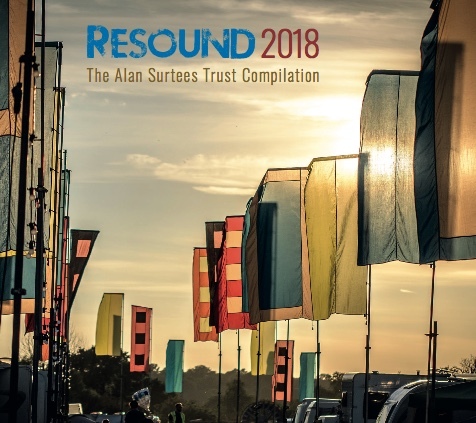 The tracks on this album are all from artists who have had strong links with the festival and some are songs which we know were favourites of Alan’s. We hope this album will capture some of the spirit of the festival and the passion that Alan had for this music. 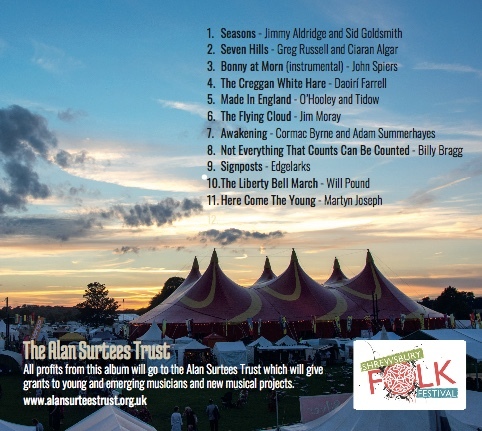 All profits from this album will go to the Alan Surtees Trust which gives grants to young and emerging musicians and new musical projects. A huge thank you to all the artists who have donated their music and photography to this album free of charge. I authorise you to hold this information for the purposes of resolving this query, and contacting me about the activities of the Alan Surtees Trust, including fundraising.